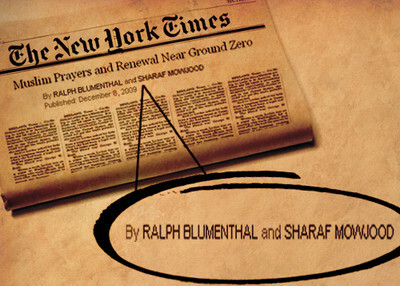 A reporter who helped write the first and positive New York Times story on the Ground Zero Mosque was trained by the group run by mosque leader Feisal Abdul Rauf, according to that group's website. 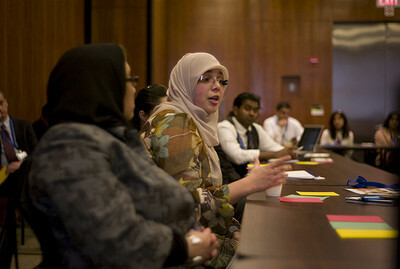 Sharaf Mowjood, third from the right and wearing the vest, listens intently to a fellow panelist at the ASMA media training session in 2009. Joseph Stalin and Walter Duranty would be proud.